The field of crisis negotiation has developed rapidly since the poorly managed Munich Olympics hostage crisis in 1972. A general trend has been towards seeking better understanding of human behaviour. 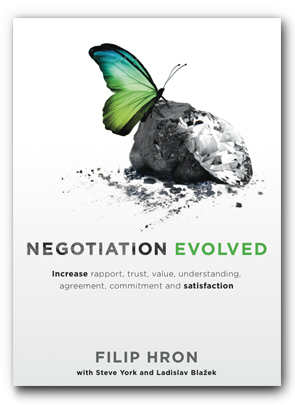 This understanding often allows negotiators to resolve crisis events in ways that carry much lower risk than the traditional approach of forceful intervention. One of the key techniques involves intentional and informed management of time to facilitate a weakening of perpetrators’ resolve. What seemed like a good idea on day one of a siege may not seem equally appealing after days or weeks of uneventful inactivity and lack of progress. With the passing of time, the initial heightened emotions and inflated expectations of success de-escalate and tend to get replaced with fatigue, exhaustion, boredom, hunger and despair. While stalling for time serves to defuse emotions and increase rationality, the introduction of deadlines instead increases stress and emotions, which in turn increases the risk of rushed, impulsive and unpredictable decisions. Imposing a deadline is an overt display of power, and the hope is to motivate submission. But more often than not the use of power instead motivates resentment, resistance, revenge, escalation and even mutual destruction. Power is often an element in crisis negotiations, but due to the negative by-products it creates, power is often introduced gradually by negotiators and primarily for the purpose of motivating a continuation of negotiations. In contrast an ultimatum introduces maximum power in one hit, and is more likely to result in a fight or flight response. Note that in this case Ukraine has effectively imposed the deadline on itself – not just on the activists. And Ukraine has in the process reduced the number of available options for resolution by locking itself into one course of action. This is a legitimate strategy from a game theory perspective. But from a negotiation perspective there is now a risk that the pro-Russian activists will test the deadline. If the deadline passes, and Ukraine doesn’t use force, then the Ukraine’s power of any similar threats in the future, even in unrelated negotiations, will be severely reduced. Thus by imposing the ultimatum Ukraine has significantly increased the likelihood of a forceful resolution to the crisis. And use of force may be particularly undesirable given the current political context in Ukraine. Of course, we have to be careful to not assume that we know Ukraine’s motivation behind the strategy. If the goal is to resolve the situation with minimum risk of losing lives then we might question the strategy as above. But if the goal different, e.g. to end the siege swiftly for political reasons in order to better manage local and international constituents, then there is of course more rationale for the strategy. International crises are very complex. Here we focused on one small piece, and that is the impact of deadlines and ultimatums on the likelihood of peaceful resolutions with barricaded perpetrators. Let’s see how it pans out!